With so many amazing ministries out there doing great things and filling many needs, how do we discern which one to give to? This was the question I constantly asked myself and prayed about over the years. Sometimes the Lord would lead us to give to one ministry, sometimes many. Constantly pray for God to reveal where you are to place your faith, your time and your financial resources because it may change as time goes by. My husband and I moved to Santiago, Chile just over a year ago with our 4 children in tow. We embarked on an adventure that we knew was orchestrated by God, experiencing many signs along the way to confirm our decision. But like any major life change, there are many struggles and difficulties settling into this new life, new culture, language and societal challenges. Many times I questioned whether we had made the right decision, but I continued to go to my knees in prayer for comfort, direction and confirmation. The Lord didn’t answer right away, and it was painful in the silence. However, the answer and reason for our move had been right in front of me, but I did not see it. Prior to our move, I had connected with a missionary family in Santiago who had raised 4 children and lived here for 20 years. Bob and Cheryl Fugate have been pivotal in my Christian walk and in introducing me to a ministry here that will forever change my life. 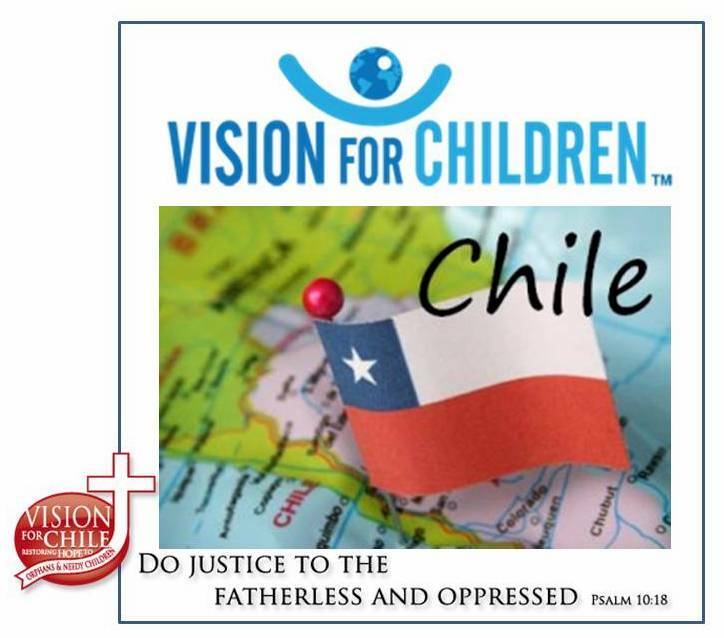 Vision for Chile is a US, faith-based ministry providing food, clothing and shelter to orphans and needy children in Chile. The first time I walked through their doors, I knew that God had a purpose and bigger plan for my life than I could ever imagine. On a daily basis, I witness miracles and blessings within this ministry. The power of the Holy Spirit is so strong and present, and the warmth, love of God and passion for changing lives in Chile flows from everyone involved in this organization. After volunteering my time for many months, I knew the Lord wanted a stronger commitment from me. I offered to become a Consultant for Public Relations and Fundraising for Vision for Chile. I am so blessed to be part of such an amazing ministry reaching out and blessing over 500 children in the La Pintana, Chile community. If you are wanting to sow into a ministry that has credibility, integrity, and people on the ground who can communicate with you how your donations are changing lives, this is the ministry to sow into. We need prayer, volunteers to give of their time (mission trips), and finances to continue to provide for these children. In October, 2012 we have a vision to construct a multi-purpose building to continue providing a safe place for girls age 18 and over. This building will consist of dorm rooms and a business center to teach and train young ladies how to run a business and how to increase their life skills. Please go here to donate now. Thank you for your time! We are so blessed to be able to share with you about Vision for Chile! Previous Post GO to Chile, planning October 2012.